Yes, everyone knows that phrase from AC/DC’s classic song by the same name. As popular as it is, it is more than just a song lyric and title. It is a statement of honor for the acts and audiences who span the rock community. This year, as with every year prior, there are so many bands to honor as the year nears its end, including hard rock and metal bands. In case it hasn’t become clear by now, this article focuses on this critic’s choices for the year’s top new hard rock and metal albums. As with every list before, compiling it was not an easy task. New releases from Project 86, Arch Enemy, Iced Earth, and so many others made this year’s field of new hard rock and metal albums very crowded. That is putting it lightly. Between well-known mainstream acts and their lesser-known independent counterparts, the two sides collectively offered so many impressive new albums. 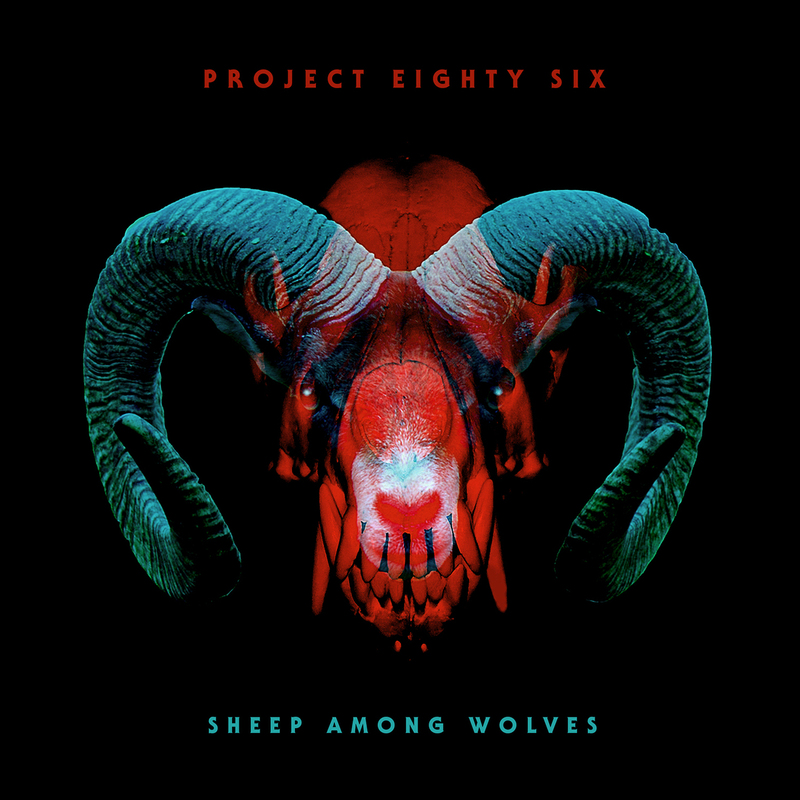 Topping this critic’s list of the year’s top new hard rock and metal albums is Project 86’s latest album Sheep Among Wolves. The band’s 10th full-length studio recording in 20 years, this record takes all of the best elements of the band’s past — both musically and lyrically — and uses them to craft a work that is just as memorable and engaging as its predecessors. Also on this year’s list from Phil’s Picks are new albums from — as already noted — Iced Earth and Arch Enemy — as well as new offerings from Overkill, Act of Defiance, Prong, Adrenaline Mob, Blacktop Mojo and others. As with every list, this list presents this critic’s Top 10 titles plus five additional titles for a total of 15 records. That being noted, here for you is Phil’s Picks’ 2017 Top 10 New Hard Rock & Metal Albums. That’s all for this list. Again, it was not an easy list to compile. Acts the likes of Eve To Eve to Adam, Marty Friedman, Sepultura, Annihilator, Mastodon and so many others all deserve their own share of credit. With that in mind, it becomes easy to see why no disrespect was meant to any one act or another here. Every noted act released its own impressive album. Only so many spaces were available, sadly. 2018 is already shaping up to be an interesting year in its own right, with new material from Ministry on the way alongside new albums from Judas Priest, Saxon, Machine Head, Corrosion of Conformity, Tool, Clutch and lots more. Stay tuned for all of that in the new year. To keep up with all of the latest sports and entertainment reviews and news, go online to http://www.facebook.com/philspicks and “Like” it. Fans can always keep up with the latest sports and entertainment reviews and news in the Phil’s Picks blog at https://philspicks.wordpress.com. All Hail The Yeti released the video for its latest single this week. The band premiered the video for its latest single ‘Mr. Murder’ online this week exclusively through Music Choice. The song is taken from the band’s latest full-length studio recording Scream From a Black Wilderness. Front man Connor Garritty talked about the video, saying that while it gives fans a view of the band’s live show it also pays tribute to one of the band’s close friends, Matthew Berube. All Hail The Yeti is preparing to join Max and Iggor Cavalera’s “Return to Roots Tour.” they will join The Black Dahlia Murder, Combichrist, Allegeon, and Oni as support for the tour. The tour launches this Sunday, Sept. 25. Along with its dates on the “Return to Roots Tour,” All Hail The Yeti will also perform at a number of off-date shows with Combichrist during its October tour. Next Friday, April 8th, All Hail The Yeti will release its new album Scenes From A Black Wilderness. The band’s sophomore album, it will be released via Minus Head Records. In anticipation of the album’s release the band debuted the album’s lead single last week. All Hail The Yeti debuted the lead single from its upcoming sophomore album Scenes From A Black Wilderness last week. The band premiered the pummeling three-minute forty-one second opus ‘Mr. Wilderness,’ online via Guitar World magazine’s website. The song is currently streaming there now at http://www.guitarworld.com/artist-news-interviews/all-hail-yetis-connor-garritty-talks-new-album-screams-black-wilderness/28883. It features guest vocals from 36 Crazyfists front man Brock Lindow. Along with the song there is also an in-depth interview with the band by Ridge Briel that audiences can read. The interview includes photos by Kristin Vah. Briel discusses the band’s 2012 self-titled debut in his interview with the band as well as the inspiration behind some of the album’s lyrical content, the band’s new lineup and much more. The video for the song ‘Before The Flames (Part 1)’ included in the article. The video for ‘Before The Flames’ (Part 2)’ is streaming online now via YouTube at https://www.youtube.com/watch?v=uyZr3HRU0aw. The complete track listing for Scenes From A Black Wilderness is noted below. All Hail The Yeti returns this spring with its new full-length album. While four years have passed since the release of the band’s self-titled album the band wanted to tie in that album to its upcoming album. 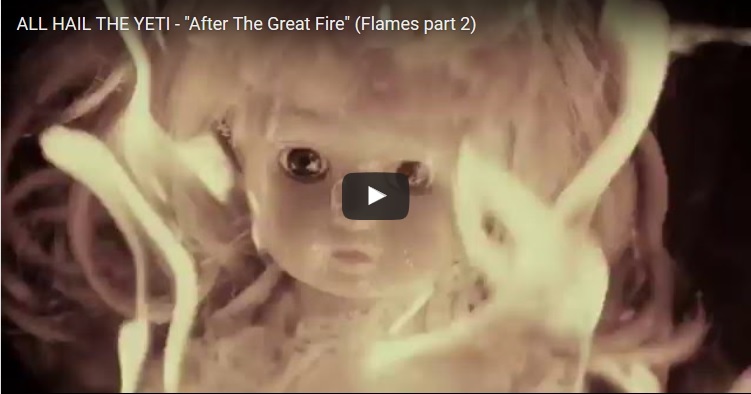 So it has released a video for the song ‘After The Great Fire,’ which was included in the band’s self-titled album. The video is streaming online now via Metal Injection. Screams From A Black Wilderness can be pre-ordered online now via Bandcamp and Amazon. The album’s full track listing is noted below. There’s big news for fans of Atreyu. 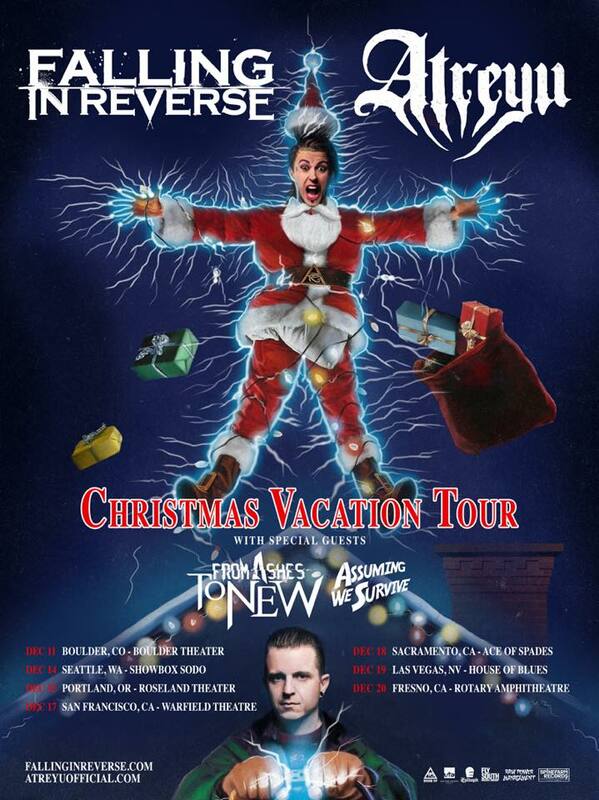 The band announced today that it will join Falling in Reverse this December for a short series of live dates. Atreyu will join Falling in Reverse this December for a short run of dates through the Pacific Northwest and West Coast. The tour, which kicks off December 11th in Boulder, Colorado, is a co-headlining tour for the bands. The complete schedule for the bands’ tour is listed below. While Atreyu joins Falling in Reverse, Atreyu’s label mates in 36 Crazyfists will the road this December for the band’s own series of West Coast dates. The band will hit the road for a late fall tour that kicks off December 2nd in Seattle, Washington. The headlining tour is the band’s latest set of dates in support of its latest effort and Spinefarm Records debut LP Time and Trauma, which will be released on vinyl for the first time this Friday, October 16th. The band’s current tour schedule is listed below. 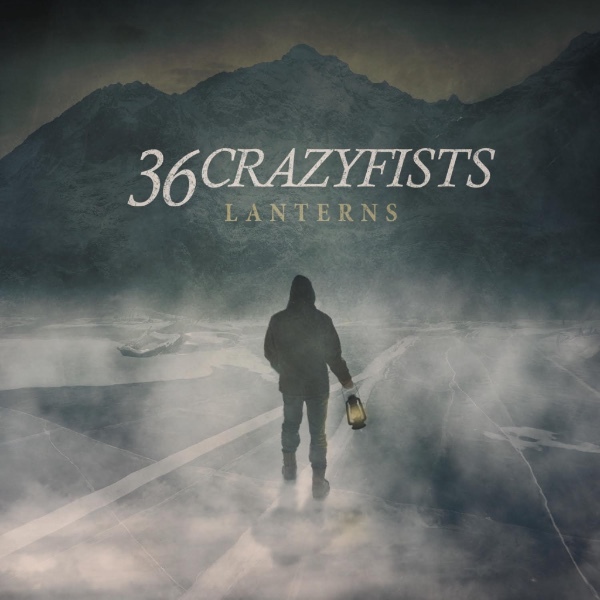 Hailing from the wilds of the American Northwest 36 Crazyfists has spent the past twenty years forging its own path in the music industry. The band, which originally consisted of vocalist Brock Lindow, bassist JD Stuart, drummer Thomas Noonan, and guitarists Steve Holt and Ryan Brownell, formed in 1994 in Anchorage, Alaska. The band would eventually relocate to Portland, Oregon and also see some lineup changes along the way with Stuart being replaced on bass and Noonan being replaced behind the kit by Kyle Baltus. Ryan Brownell left the band along the way but the band opted to continue on without him, opting instead to continue on as a four-piece. Now in its twenty-first year, the band has released its seventh full-length studio release. And one listen to the recently released record reveals a band that despite those lineup changes and the wear and tear of time has not lost a single step. That is clear at many points throughout the band’s latest effort Time and Trauma. One point at which the band shows its continued strength on this album is its third entry ‘Sorrow Sings.’ This piece is heavy both musically and lyrically. Much can be said of the album’s midway point ‘Also Am I.’ For all of the fire and energy exhibited throughout the album Lindow and company also show something at least slightly akin to a softer side in the album’s closer ‘Marrow.’ Lyrically, it is just as deep and heavy as the other noted songs. Both elements combined, it is a complete contradiction to the album’s opener yet still will keep listeners’ ears just as much. The songs noted here are each solid representatives of what makes Time and Trauma another solid release from one of the metalcore world’s most underrated bands. Together with the compositions not noted in this review, all twelve tracks that make up the body of Time and Trauma show it to be an album that the band’s fans and metalcore fans alike should hear at least once. 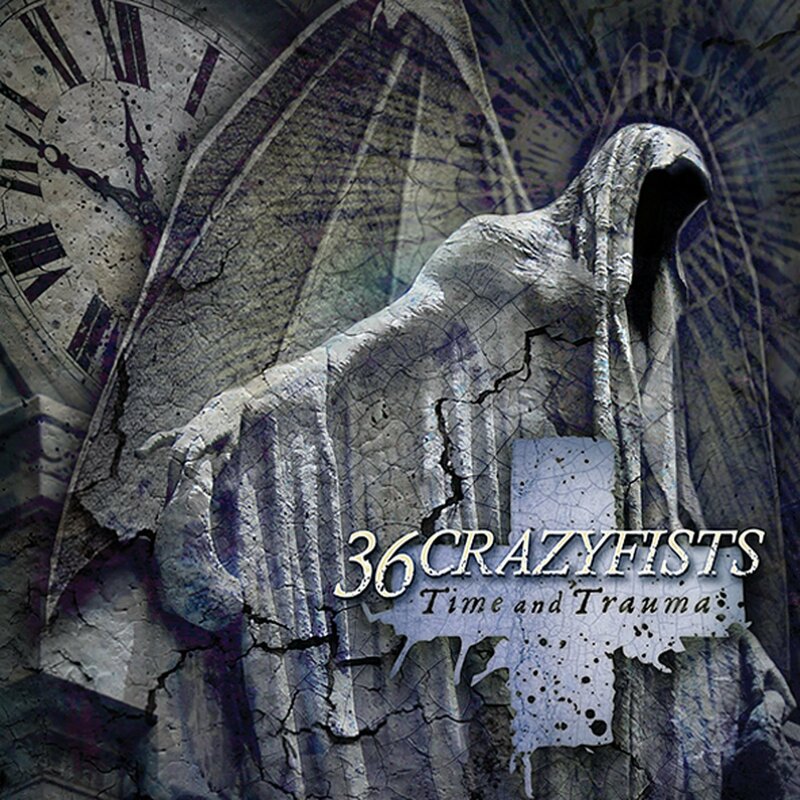 36 Crazyfist’s latest full-length studio effort Time and Trauma is a solid work from the band. Regardless of audiences’ familiarity with the band’s body of work, it proves itself to be a record that the band’s fans and those of the metalcore genre should hear at least once. This is proven early on in the album in the form of its third track ‘Sorrow Sings.’ It is a piece that is heavy both musically and lyrically. That is not to say that it is the happiest of songs in the lyrical department. But it does have what at least seems like a happy ending as Lindow sings, “Sorrow sings/of everything/But survival doesn’t ring/Isolate/Contain your pain/To outlast the taste of misery/I believe the curse/Will swallow its teeth/Show the stars and I can/clear the air and love the end/As hollow as that sounds/I begin to breathe somehow/The curse/Will swallow/Its teeth/The past/Will fall at/Your feet/Sorrow sings/This sorrow.” Those closing words paint something of a more positive picture than that of the song’s opening verse. The addition of the heavy, sludge of the guitars and Lindow’s vocal delivery together with these lyrics make the song all the harder-hitting. The result is that the song in whole proves to be one of the album’s strongest moments and in turn an equally solid representation of why metalcore fans and fans of 36 Crazyfists alike should hear Time and Trauma at least once. ‘Sorrow Sings’ is a solid work within itself. In the grand scheme of Time and Trauma it serves as an equally solid representation of what 36 Crazyfists has to offer listeners on its latest release. The same can be said of the album’s midpoint ‘Also Am I.’ This song is just as heavy both musically and lyrically as ‘Sorrow Sings.’ It also presents a similar message of overcoming so much emotional hardship with Lindow singing, “Looking lost as the night disappears/I hold my breath as I wait out the fear/Swallowing the plagues I own/Draped in hell from head to toe/And I/Design serene/But I/Poison the inside/Avalanche/Crashes down/And I’m to remain calm/If you were looking for someone to save you/Also am I/If you were looking for something to believe/Also am I/Don’t go quietly.” Unless this critic’s interpretation is wrong, the message that Lindow seems to be sending is for listeners to not give up no matter what. The avalanche in question is the proverbial avalanche of tough times and overall negativity that smash into people from time to time. He comes across as saying a person shouldn’t just sit there and take it quietly. A person should stand up against that avalanche. Again, this is just the interpretation of one person. It could very well be wrong. The very fact that once again a song’s lyrical content can generate just as much discussion as its musical content proves why it is one more important part of the album’s whole. The musical and lyrical depth of ‘Sorrow Sings’ and ‘Also Am I’ show quite clearly just how much 36 Crazyfists has to offer its audiences on its latest effort. It shows just as much depth as it delves into something much deeper in the album’s closer ‘Marrow.’ Lindow sings over the song’s much more reserved sound, “Death called for me tonight/But I’m not answering/Lord pull me down and put me back in place/Storm after storm/Awake and alone/I’ll give you everything I have/Pray it’s enough/Feel it pull like the tide.” This sounds like someone caught in the depths of a deep depression, fighting the feelings that come with it. Guest vocalist Stephanie Plate adds her own depth to the song as she sings in the song’s closing lines, “Hand of the sea subtly drowning me/Watch it turn/Never free/Marks of a cell/Come devour me/Steadily she’ll increase/Descending leaps/She passes over me/Lord pull me down.” It is intimated that the pull of death didn’t win as Plate sings of death passing over the song’s subject even as much as those feelings grow. Once more, it would be interesting to learn the true meaning behind this song should this critic in fact be making an incorrect interpretation of this song. The fact that once again, Lindow and his band mates could generate so much discussion with such lyrical and musical depth proves how much 36 Crazyfists still has to offer even two decades plus into its life. It also proves once more why fans of both 36 Crazyfists and of metalcore in general should hear this record at least once now that it is available.